GRAMMY®-nominated, Platinum- selling and Billboard Music Award-winning rockers Skillet will headline the Winter Jam 2018 Tour Spectacular, it was revealed during the tour's launch celebration earlier this evening at Nashville's Hard Rock Café. Among the biggest annual tours in the world, Winter Jam is once again set to showcase a lineup of some of the best and brightest names in Christian music. "We are so excited to be back on Winter Jam in 2018," said Skillet's John Cooper. "I'm looking forward to playing with great artists, talking about faith with great friends, and playing for the legendary crowds that attend Winter Jam!" Presented by Holt International, Winter Jam's 46-city Eastern U.S. tour will also feature GRAMMY®-nominated recording artist and internationally-renowned worship leader Kari Jobe (featuring Cody Carnes); GRAMMY®-nominated pop hitmakers Building 429; popular comedian and viral sensation John Crist; critically-acclaimed breakout hip-hop recording artist KB; GRAMMY®-nominated tour creators and hosts, NewSong; Dove Award-winning chart-topper Jordan Feliz; and a message from author, speaker and evangelist Nick Hall. In addition, the Pre-Jam Party will feature award- winning worship artist Dan Bremnes and lauded Curb Records singer/songwriter Mallary Hope, along with new Baby Syndrome Records artist Westover. Kicking-off January 5 at the Charleston Civic Center in Charleston, West Virginia, the tour will visit numerous major venues across the country, including Chicago's Allstate Arena; Lakefront Arena in New Orleans; Bridgestone Arena in Nashville; the PPG Paints Arena in Pittsburgh; and Charlotte, North Carolina's Spectrum Center, among others, before concluding March 31 at Lexington, Kentucky's Rupp Arena. Click here for a complete list of cities and dates. "I can't wait to see what God is going to do on Winter Jam 2018," said tour creator and NewSong co-founder, Eddie Carswell. "Every year He amazes us with His presence and the people He draws to each venue to hear the Gospel. We hope everyone can make it out this year. It's going to be a show to remember." Winter Jam is produced by Premier Productions and sponsored in part by Liberty University; Samaritan Ministries; Together (presenting the Winter Jam Youth Leader Reception); the upcoming film "I Can Only Imagine"; Premier Vacations & Events; Camp Electric; Texas TransEastern and Xtreme Conferences. Created and hosted by one of Christian music's most iconic bands, NewSong, Winter Jam exploded from a single show in 1995 to become the genre's benchmark tour. Throughout two decades, Winter Jam has helped provide a powerful platform for the Gospel in major arenas nationwide, consistently showcasing Christian music's top artists. 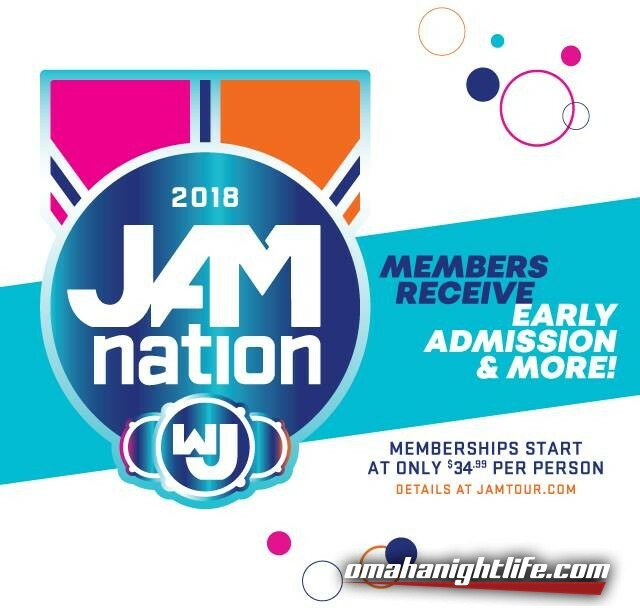 Earlier this year Winter Jam was again ranked among the biggest first quarter tours in the world, landing at #4 on Pollstar's "1Q YTD Worldwide 2017 Ticket Sales Top 100 Tours" chart. The tour's annual West Coast leg is set to launch November 9 in Los Angeles with GRAMMY®, Dove, Billboard Music Award and BET Award-winning hip-hop trailblazer Lecrae at the helm.